Shattered Glass (the film in which I portrayed Kambiz) is a great film and a terrific family movie. And I loved reading his piece about it on this site posted a few days ago. Then I got to the part in the article about his thoughts on my national origins.I wrote to him to let him know that I was not in fact Indian but Iranian (by both parents, although I am born in Canada) and was surprised to receive a very angry and annoyed message back which, in a nutshell, accused me of being ashamed of my background and of having no identity. I am a professional actor in the film, television and theatre world. I make my living assuming or creating the identities of any number of people or characters I am asked to portray. So to hear someone say I lacked one of my own… well to say the least, that gave me pause. After my initial scoff at Kambiz’s ignorance of the business of being an ethnic actor in North America and the challenges that come with that, I started to trace back in my history to try and find the root for this misunderstanding. When I look back at how I represented myself over the years, I don’t blame Kambiz one bit for getting it wrong. I’m an Iranian-Canadian, not Indian, but when I think back on it, I guess it’s not surprising that he didn’t know. I met him a few weeks ago in New York at the premiere for Shattered Glass but we didn’t talk about my cultural background. And having been born in Canada, my Farsi is not fluent so I didn’t speak to him in that language. Typically when I am doing any kind of press interviews I don’t bring up the issue of culture unless asked and then I try to avoid being to specific and usually say I’m mixed. If pushed, I will offer up being Persian. When I saw his piece, I wrote him to inform him of my Iranian background, and he said quite heatedly that the movie’s producers and director told him I was of Indian origin. 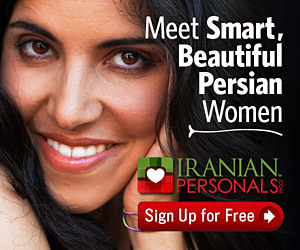 That certainly surprised me, given that I assumed they knew I was Iranian, but then again, maybe it shouldn’t have. After all, I hadn’t necessarily broadcast my Iranian-ness in auditions. One must understand as a Canadian-born man in his mid 30’s I grew up in a time when Iran was in the news a lot during the formative years of my life. Most of the time the news was scary, violent and embarrassing. At that age one tended to try to dissociate oneself as much as possible from anything that would provide fuel for harassment or segregation. Being dark skinned was challenging enough, but being from the country of “hostage takers” was impossible to talk your way out of in a school yard. So one tended to introduce oneself as “Persian”, then Middle Eastern and finally East Asian as more and more of that part of world became controversial. When I entered university in my early 20’s, I began to develop a sense of self that slowly began to slough off the stigma of my youth. It had been difficult to be proud when I had heard stories, during the hostage crisis, of Iranian colleagues being relieved of their jobs in the middle of film shoots, replaced by someone else. Quite honestly this kind of discrimination was not something I wished to experience. I was determined when I graduated theatre school in 1989 not to be type cast as a terrorist (the only roles that were essentially available for Middle Eastern men at the time). As a result of my efforts I have been fortunate enough to have played a wide spectrum of challenging roles, the majority of which where cast on my talent rather than my ethnicity. Since Kambiz’s article came out [Garden variety], I’ve done some thinking about the role my culture has had or should play in my profession. Over 20 years as an actor, I’ve played dozens of roles of different nationalities, from Hispanic to Italian to Middle Eastern. As the founder of Repercussion Theater, the only touring Shakespeare-in-the-Park company in the world, based in Montreal, I’ve even played 16th-century characters with no connection to the Middle East. It’s an actor’s meal ticket to be able to play any role. I make my living by creating a world of illusion, an imaginary place where people can forget their own lives for a little while. That means I have to be ready to be any character, from any place. Ben Kingsley’s Indian heritage is negligible at best but who doesn’t think of Gandhi when they think of him? That is what acting is all about — being something more, something different than what we really are. As an actor I am lucky that I don’t have a very specific look, I can pass for Hispanic, Latin, east Indian and Middle eastern. I have been able to play so many different kinds of characters. I have never hidden that I was Iranian by origin, but I didn’t offer the information either. But since Kambiz’s article came out, it’s made me realize that his role in Shattered Glass was the first major Iranian role I had ever played. And why did everyone think I was Indian and not Iranian? In retrospect I suppose I didn’t go out of my way to offer the information and was not opposed to having people misconstrue my origins leaving me much more open to play whatever comes my way. Perhaps the most interesting facet of this whole issue is what has happened for Middle-Eastern actors post 9/11 . I remember clearly the fear that I shared with my fellow actors at that time about how we were going to be perceived. Would we ever be able to get another role? Would anybody want to hire us if we were all going to be known only as terrorists? To the absolute surprise of all of us, there has never been a better time to be an actor with an ethnic background. There are now intelligent stories with meaty, three-dimensional characters being written for us. Granted most of the stories revolve around new world order post 9-11 storylines, but they are still nonetheless sophisticated, textured and human characters. There are opportunities that did not exist before. And there are roles being offered, like Kambiz’s in Shattered Glass, that are a pleasure to play. I am proud of my Iranian origins and would want to be known as nothing else. But that’s me, Kasra Anvar, the person. In all honesty I need to ask myself: if the climate in the arts was not moving towards favoring Middle Eastern artists, would I be shouting it from the highest hill? Probably not. It does not serve me or what I am trying to do in my life. It is neither my priority nor my passion. When Kambiz Foroohar exposed Steven Glass for the charlatan he was he was doing his job. As a journalist. If being Iranian made it more difficult to do that job or to be taken seriously or even to have that great story given its credit, would the issue of culture be important enough to sacrifice what you are working towards? I am not sure. Iranian parents with children born in North America since 1960 should ask their kids how their cultural background effects or impedes their lives. I am betting based on the many discussions with my cousins, all of whom share my experiences, that many would say they find reconciling the two worlds difficult, and most often the Iranian culture is the one that loses the fight. How many of you know Iranian kids or adults who have changed their names from Kourosh to Jack or from Maziar to Mike or from Kasra to Cas for the sake of integration? I don’t think it is right or wrong… simply human nature. I am an artist first and foremost. I am also a Canadian citizen of Iranian background. But my passions and opinions are not rooted in culture nor partisan politics but rather in issues of the human condition. Cas Anvar, the actor, can and should be anything the script calls for. Twins for sale! Twins for sale!